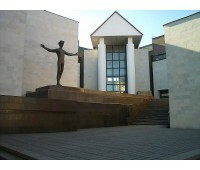 Kaunas art, galleries and exhibitions guide. Full listings of Kaunas art exhibitions and the latest Kaunas art reviews. Contacts Address: Nepriklausomybės a. 12, LT-44311, Kaunas. Tel. (+370 ~ 37) 32 27 88. E-ma..